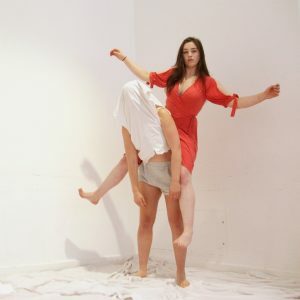 Emma Plotkin talks to creator and performer Fionnuala Gygax about Kiss Kiss Slap Slap. Gygax Addresses politics, the #MeToo movement, feminism and making this content accessible. “A dressing room. Three women invite you in. A multifaceted performance about the Ireland we live in. About the Ireland we could live in. #MeToo has happened. The game is changing, times are shifting and the masks are finally slipping. Everyone’s a witness. So where do we go from here? The jury is still out.